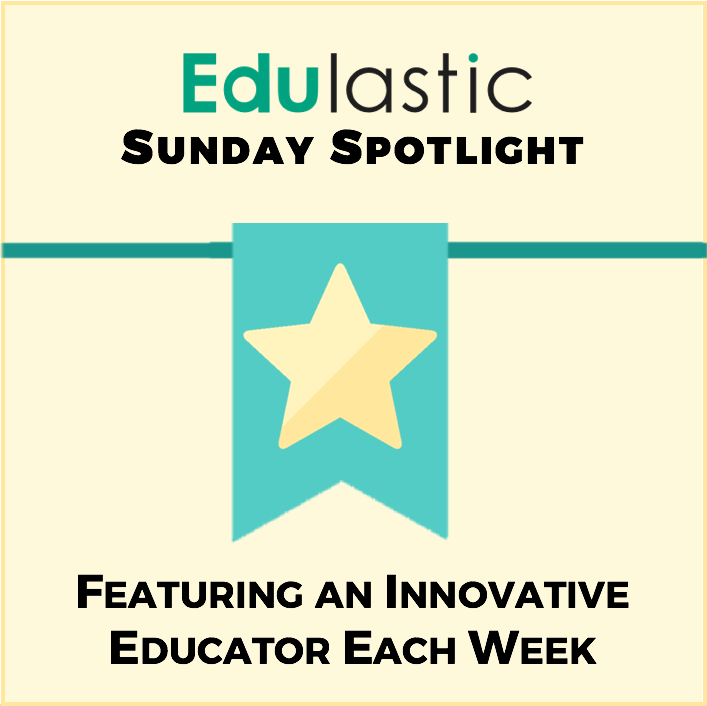 Every week we feature a forward-thinking, innovative educator for the Edulastic Sunday Spotlight. This feature honors a teacher who is making a difference in the classroom and putting technology to the test. Literally! The Sunday Spotlight gives you a peek inside the classroom of forward-thinking educators. 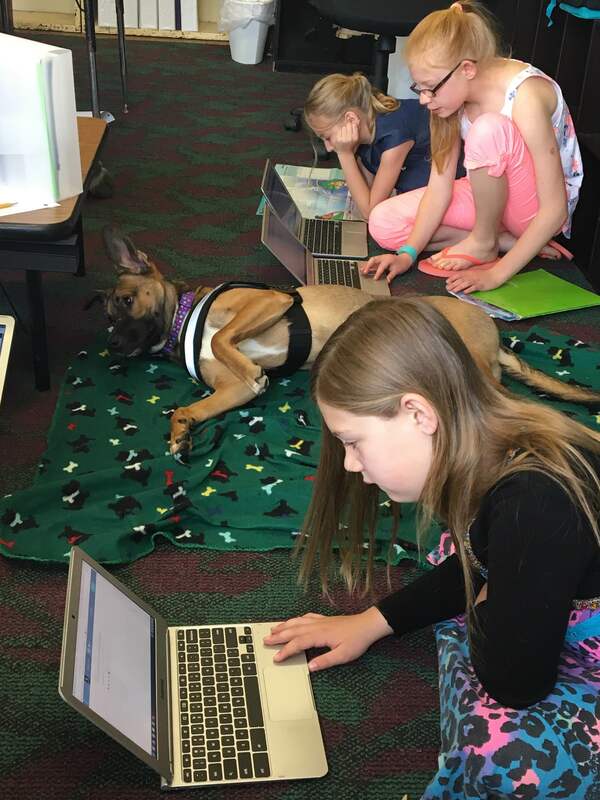 Here students from Katie Gatrell‘s classroom work on Edulastic alongside the classroom dog (a service dog in training). What we love most, is that the Sunday Spotlight gives the world a weekly opportunity to step into the shoes of an Educator who is doing incredible work and bringing the 21st century classroom to life. Through the interview, you can step into their shoes and discover the passion, teaching tactics, and technology philosophies of that teacher. When we interview a teacher for the Sunday Spotlight, we ask questions that will help us get a better understanding of who they are as both a teacher and a person. We ask questions about how why they teach, about their goals as a teacher, how they incorporate Edulastic, and tips for other teachers who are interested in using digital assessment. We also get to learn about some of the fun tactics they use in their class for getting students’ attention, about prized decorations you’ll find on their wall, and about some of the funniest student moments they’ve experienced! Each time we learn from a new educator we feel inspired! We are already a few months in and we can tell you for certain that we are amazed by the passion and dedication these teachers have for their students’ learning experiences. We’ve seen a lot of creativity, and among everyone we’ve interviewed, a consistent, positive, upbeat attitude for creating an excellent learning pathway for students. We hope you enjoy reading the interviews and that you, too, come away with newfound inspiration. Know someone who is using Edulastic who we should interview for the Sunday Spotlight? You can nominate a colleague or yourself here. Browse through the outstanding educators featured in the Sunday Spotlight thus far!